Accommodation begins on Sunday, the day before the beginning of the course, and ends on Saturday (before 12 noon), the day after the course. 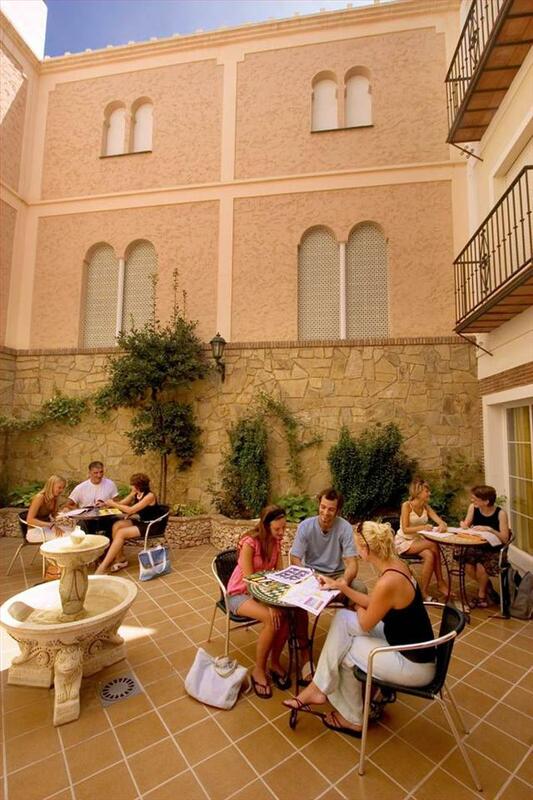 Our Andalusian style School Residence with 30 rooms, is situated in the centre of the town, only three minutes walking distance from the language school and beach. Double Rooms with fully equipped private bathroom. "Star Rooms" with bathroom, TV, fridge and tea or coffee facilities. A cafeteria with lounge and a beautiful Andalusian Patio. prepared for sunbathing with excellent sea and mountain views. Air conditioning, heating and lift. Special room for disabled students. Rooms can be booked for sole or double use. Minimum age requirement of 18. Recommended for students who wish to live with a Spanish family get to know their customs and have extra practice in the use of the language. All the families who collaborate with us will treat you as another member of the family. They are all quite near the language school, no more than twenty minutes walk away. Single and double room with half board (breakfast and lunch). 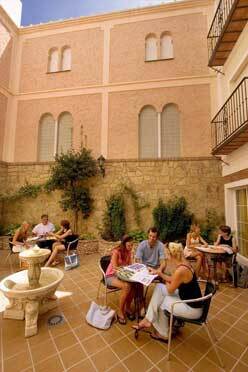 The main meal in Spain is lunch, and is between 2 and 3 o'clock in the afternoon. Optional laundry service.